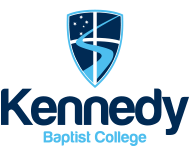 Kennedy Baptist College welcomes suggestions and comments from parents and takes seriously complaints and concerns that may be raised. A Complaint will be treated as an expression of genuine dissatisfaction that needs a response. We take action where appropriate. When you contact the school, be as clear as possible about what is troubling you. Members of the staff will be happy to help. It may be best to start with the person most closely concerned with the issue - for example, sports concerns could be addressed to the Head of Physical Education. The appropriate Head of Learning Area may be able to sort things out quickly, with the minimum amount of fuss. However, you may prefer to take the matter to a more senior member of staff, for example the Deputy Principal or the Principal. The college is here for you and your child, and we want to hear your views and your ideas. Contact a member of staff, as described above. If, as parents, you have concerns, you are entitled to raise them. If in doubt, you should contact the College, as we are here to help. If you raise something face-to-face or by telephone, it may be possible to resolve the matter immediately and to your satisfaction. If you have made a complaint or suggestion in writing, we will contact you within five working days, to respond to your concerns and explain how we propose to proceed. In many circumstances, the person you contact will need to discuss the matter with a colleague and consider it further before responding. You will be given a date by which time you will receive a response. If a detailed exploration of the issue is needed, a letter or report will be sent to you as quickly as possible. This will inform you of the outcome of your complaint. It will explain the conclusion, the reasons for it, and any action taken or proposed. Your complaint or concern will be treated in a confidential manner and with respect. Knowledge of it will be limited to the Principal and those directly involved. The Chairman on the College Board may also need to be informed. It is the College's policy that complaints made by parents should not rebound adversely on their children. We cannot entirely rule out the need to make third parties outside the College aware of the complaint and possibly also the identity of those involved. This would only be likely to happen where, for example, a child's safety was at risk or it became necessary to refer matters to the police. You would be fully informed. Action, which needed to be taken under staff disciplinary procedures, as a result of complaints, would be handled confidentially within the school. We hope that you will feel satisfied with the outcome, or at least that your concerns would have been fully considered. If you are not satisfied, the Principal will offer to refer the matter to the Chairman of the College Board. Alternatively, you may wish to write directly to the Chairman. The Chairman will call for a full report from the Principal, and will examine matters thoroughly before responding. The decision of the Board will be conveyed to you. This completes the process. Finally, the matter can be referred to an independent arbiter, and without judgement feedback will be referred to the College Board. By talking about it, or by writing it down if you find that easier. You can do it by yourself, or through your parents. If possible, the staff member will deal with it in person. If not, he or she will go on your behalf to someone who can help. If you are worried about confidentiality, tell the staff - they will understand. Even if you find the issue hurtful or embarrassing, don't worry - it will only be discussed by staff who can help you.